Justice AK Patnaik of the Supreme Court, faced with unsubstantiated allegation of his friendship, told the court that he was not a friend of Suresh Bijlani, the main accused in a murder case. Though the Judge wanted to avoid unwanted criticism, the mere act of his posting the matter before another bench has invited criticism. The members of the Bar are of the opinion that such allegations, if left unattended, would be an impetus to a litigant who has been trying to avoid a Judge, to suit his needs. The occasion arose when Chief Justice of India P Sathasivam, is reported have received a pen drive which contained an alleged conversation between two men claiming that Justice Patnaik was a friend of the accused and would, therefore may dispose the case favorably for the accused. The pen drive was allegedly sent to the CJI by Sandeep Lahoria, son of the slain developer. In response to the alleged friendship, the bench comprising of Justices Patnaik and F M Ibrahim Kalifulla in the order passed mentioned, “To put the record straight, A K Patnaik J. is not a friend of Suresh Bijlani, nor does A K Patnaik J. know SureshBijlani (the petitioner),”. In the February 16, 2013, Bijlani was accused of assassinating the real estate developer Sunil Lahoria, 50, outside his office, located in Vashi in Navi Mumbai. The occurrence of the kiiling being daylight, it was clearly captured on CCTV camera as two motorcycle-borne assailants executed the plan. Bijlani’s plea for bail was rejected by the High Court of Bombaby in December 2013. The High Court had recorded that the son of the deceased developer, Sandeep Lahoria, apprehended a threat to his life from his father’s murderers. Last month, Bijlani’s plea for bail was denied by the apex court, but he was granted a temporary bail as his octogenarian father was in need of surgery. When Sandeep Lahoria moved an application for cancellation of grant of temporary bail to the accused the Supreme Court Registry informed the Bench regarding the pen drive that had been sent to CJI Sathasivam. The pen drive allegedly consisted of an allegedly recorded conversation between Bijlani’s lawyer and Sandeep, in which the former is heard saying that Justice Patnaik was friend of Bijlani, and they, therefore, expected orders to suiting their benefits. 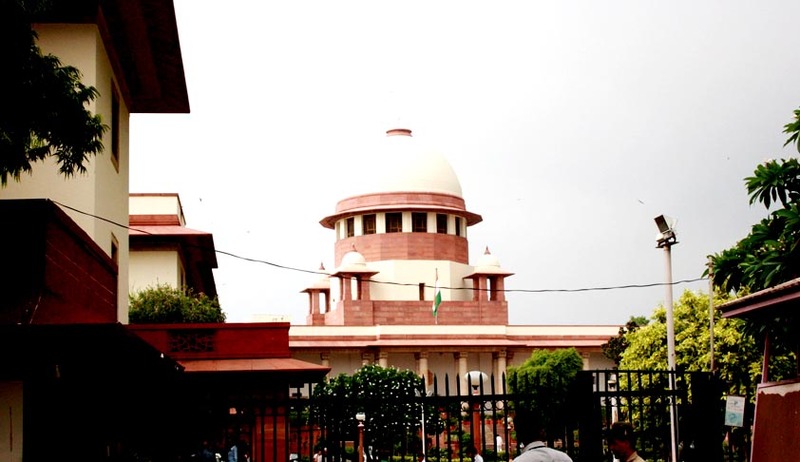 To avoid unwanted criticism, Justice AK Patnaik passed an order transferring the case to another bench to adjudicate the matter, saying, “…As Sandeep appears to have an apprehension that justice may not be done in a bench in which one of us (Justice A K Patnaik) is a party, henceforth, this matter be placed before some other bench to be decided by Hon’ble the Chief Justice,” the court said. Though the Judge avoided the matter, the members of the Bar is of the opinion that the Court ought to have passed an order for enquiry into the whole episode to find out the real people behind. “If such incidents are not enquired into and false claims are permitted to be float around, it would put judges under serious mental stress affecting their very functioning”. A senior lawyer who don’t want to be quoted said.